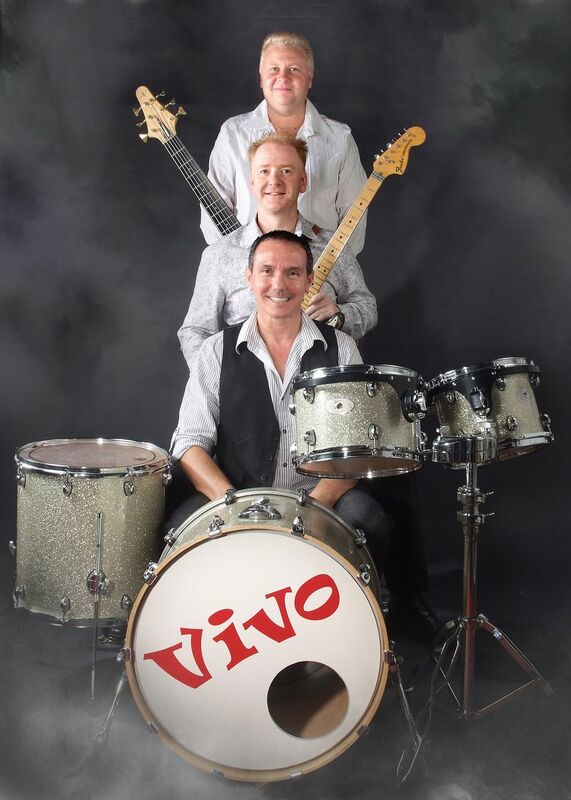 Music ranging from 'standards' through 50s, 60s, 70s, 80s, 90s right up to the present day; 'Vivo, comprising of drummer / vocalist Keith Slater and guitar / vocalist Ian Price and Mark Willis, are a first class, self-contained trio that specialise in providing quality music for corporate functions, private parties, weddings, clubs and restaurants. These three guys have a reputation for great musicianship, professionalism and a versatility that's astounding ! They have a vast experience of virtually every popular musical genre ranging from classical through jazz, folk, country, reggae, gospel, metal, rock, pop, funk, disco... you name it these guys can play it ! Vivo can cover it all from 'evergreens' right up to modern day classics. With many years' experience of performing for a wide variety of audiences you can be assured of a successful evening, of top class entertainments. Songs are added to this weekely. Special requests can be added if given sufficient notice... just ask !